Get a weekly email newsletter with the best Sports links. 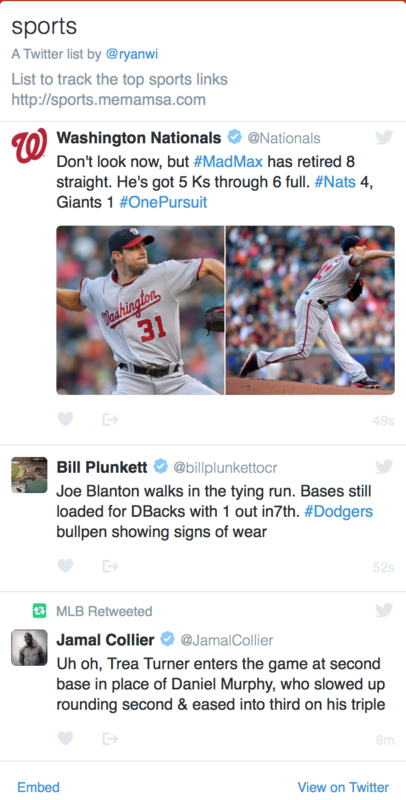 This was an experiment in automatically curating a collection of the top news, information and entertainment links shared by the sports community. Initially based on Sports Illustrated’s Twitter 100, it was combined with a number of other Twitter lists to include athletes, journalists, teams and more. In doing this, we discovered several efficient ways of building and maintaining Twitter lists. It turns out that many people want to organize their own such lists, and put them to their own use.